A man has appeared in court charged with a serious assault on a woman in Linlithgow. Colin Richardson (34), from Linlithgow, was charged with assault and assault to severe injury. Police say the man attacked a 46-year-old woman who sustained serious injuries during the assault. 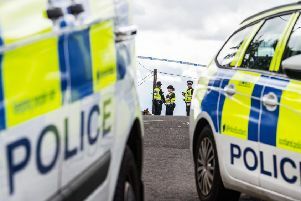 The incident took place at a property in Avon Drive in Linlithgow Bridge at around 7.30pm on Sunday, December 4. Mr Richardson made no plea or declaration at his appearance in Livingston Sheriff Court on Monday and was given bail.